My favorite crafts include things you can make with supplies from around your house. And these snow flake turkeys are super easy to make from a recycled paper grocery bag, googley eyes and scrap paper. Are you looking for some easy ideas to keep your elf busy this year? 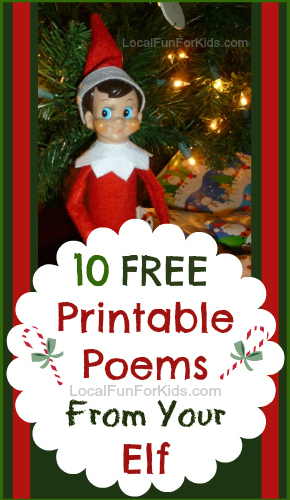 These free printable poems for your Elf on the Shelf are perfect for when your elf wants to surprise your kids with a special little note. Print off these poems now, and tuck them away for when your elf needs a little boost of creativity! This is a sponsored post. The opinions and ideas expressed here are my own. Is it me or have the past few months flown by? It seems like school just started and now we're counting down the days to Christmas already. One of my favorites things about this season is all of the movies that are released just in time for the holidays. 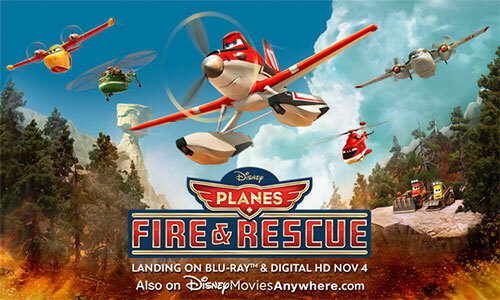 To celebrate the release of Disney’s “Planes Fire & Rescue” on Blu-ray and Digital HD on Tuesday, November 4, 2014, I want to take a minute to talk about the Everyday Heroes in our lives - our kids. Are my kids Everyday Heroes? Absolutely. And I hope yours are too! There are certainly enough super-powers to go around, so let's all embrace the hero qualities that our kids have. No one is saying that you need to be perfect to be a hero. Even the best heroes have their faults. But, one thing I've noticed about my kids (and some of the coolest heroes around) is that being a hero means taking the the spotlight off of yourself and putting it on someone else instead. It means doing good things for others because you know it's the right thing to do, not because you want to be acknowledged. There is something special about being humble and helping others. Just like Dusty, from Planes Fire & Rescue, it's important to recognize that sometimes you need to shift gears to make an impact. In Planes Fire & Rescue, Dusty, a world-famous air racer learns that he may never race again and he is launched into the world of aerial firefighting. Dusty joins forces with a team of veteran firefighters; together, they battle a massive fire, and Dusty learns what it takes to become a true hero. 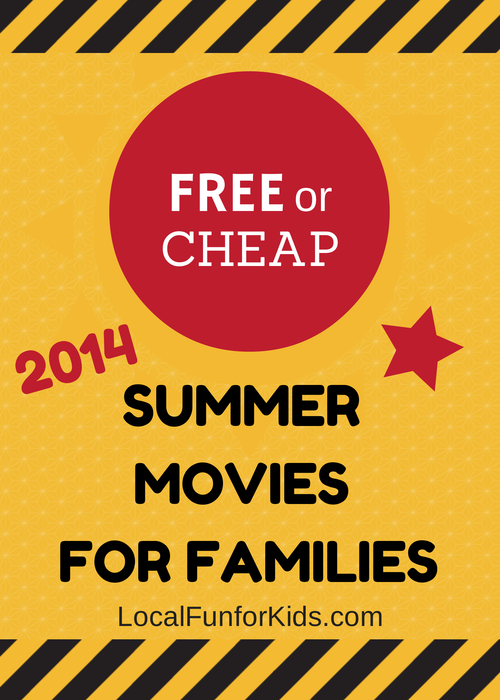 This movie is a fun high energy action-adventure story that is perfect for the whole family. And, I like the message that putting your ego to the side and working together as a team can lead to great accomplishments. Now, that the weather is already getting ridiculously cold here in the Philadelphia suburbs, I know my family and I are going to be having more cozy movie nights over the next few months. If you are too, you might want to buy Disney Planes Fire and Rescue here. It's a heroic story filled with humor and heart. Follow me on instagram to see some of my kids #EverydayHero moments and join in the #PlanesFireandRescueSweeps Twitter party on Thursday, November 6th, from 4-5pm PST (7-8pm EST). I can't believe it's time to go back to school already! This is my first year that both of my sons will be in school full-time and we're ready for it! We just found out who their teachers will be and now, we are excited to learn which kids will be in their classes. This is the moment they've been waiting for, and I'm excited to share it with them. I remember back to when my eldest was entering kindergarten. He was incredibly excited, and his eagerness to get in the classroom definitely put me at ease. This year, he'll be able to guide my little guy through full-day elementary school and I think we're all looking forward to it just as much. Three years ago, as I was anticipating my son's first day in kimdergarten, I wrote up a blog post with lots of tips based on suggestions from the American Academy of Pediatrics. My kids have changed so much over the past few years, but these tips have with held the test of time. Have you heard about The Philadelphia Museum of Art's new summer program for kids? Their Art Splash program gives kids a chance to explore, create, and play through art and imagination. On Wednesday August 20th, Stephen Starr Events & Catering along with Philadelphia Art Museum will host a kids cooking class as part of the museum's summer family friendly Art Splash programming. At “Cook with Your Kids,” parents and kids will be able to participate in a fun, interactive cooking demonstration and learn tips on how to cook at home together from Executive Chef Gerald Drummond who helms the kitchen at the museum's Granite Hill restaurant. The unique class will be located in Philadelphia Art Museum’s Cafeteria from 6:00pm-8:00pm. The class is $45, $40 for members and can be purchased online here. Children must be 6 years of age or older to participate. Use Degree. Don't Sweat the World Cup! On our vacation, last August, we didn't visit 1 soccer stadium. Oh, no. We went to 3! We saw Manchester United and Stoke City play at their home fields. We also took a side trip to tour Anfield, the great home of Liverpool FC. 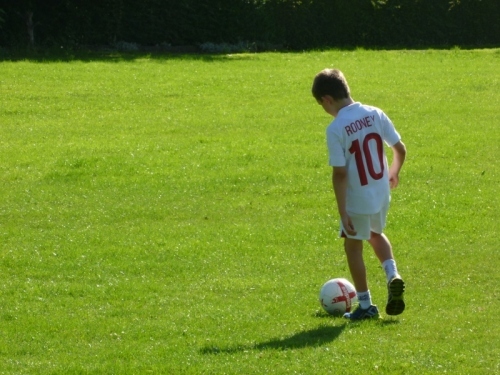 We don't get to England very often anymore, so my husband squeezed in as much soccer as he could into a two week period. We even visited the grassy field where my husband played football with his childhood friends. Yes, we're BIG into soccer! My family has been looking forward to the FIFA World Cup for a long time, and we've had a lot of fun watching it with friends over the past couple of weeks. The U.S. men's soccer team put up a great fight against Belgium! Even though they didn't win, they proved that they were a force to be reckoned with. It was very impressive! This summer Degree Men and Walgreens have been cheering on the U.S. team as well. 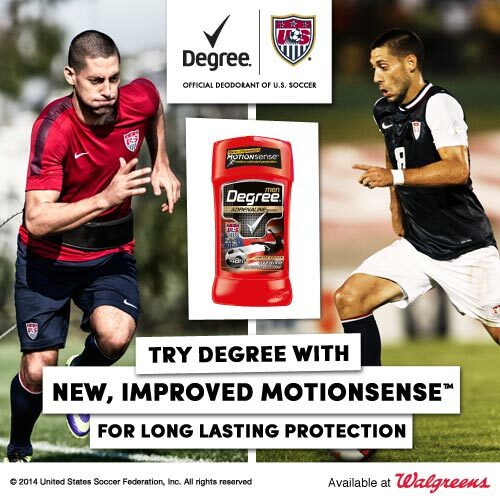 Did you know that Degree is the Official Deodorant of U.S. Soccer? Degree wants to reward fans who Do:More with a great offer. Hurry and get to Walgreens today or tomorrow (7/4 or 7/5) and receive 1,000 Balance Rewards points when you buy 2 Degree Men Deodorant products. Move more, play more and Do:More this summer with Degree! If you live near a Chick-fil-A restaurant, it's time to mark your calendar for Cow Appreciation Day! 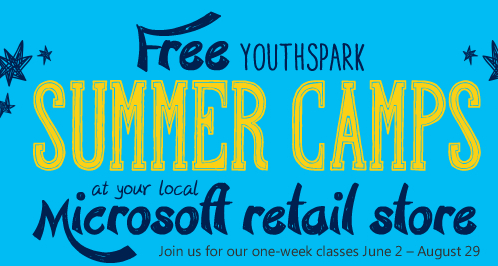 Yes, on July 11, 2014, you can get FREE food for wearing cow attire. My sons and I have celebrated #CowAppreciationDay in the past, and we've always had a good time with it. I'm not courageous enough to dress from head to hoof, but there are plenty of adults that stroll into the restaurant in full cow attire. Do you plan on celebrating Cow Appreciation Day this year? Get the scoop on Cow Appreciation Day on the Chick-fil-A website, where you can read the F.A.Q's, check out the photo gallery and even buy cow merchandise. If you live in Delaware County, PA, I've got a special treat for you! Chick-fil-A in Lima, Pennsylvania is celebrating summer and they want you to join them! They are hosting the Great Grill Giveaway, which means that everyone who purchases a grilled chicken entree or meal now through June 20th, will get an entry form for their raffle drawing of a FREE gas grill. Reasons to Love Minor League Baseball! After a long snowy winter, I am ready for some summer fun with my kids. For us, that means, swimming, road trips, and baseball, among other things. Summer is the perfect time for a minor league baseball game, and if you've never gone to a minor league game, I urge you to check it out. If you've been to a minor league game in the past, you might already know why these are great for families, and if not, this is a must read: Summer Fun for Kids: Minor League Baseball Games. I'll share the reasons that I love minor league baseball games, and why you might love them too! Looking for Shark Themed Crafts for Kids? Note: This is not a sponsored post, however, it does contain affiliate links. It's almost summer time and the last thing on your mind is Elf on the Shelf, right? But, has your happy little elf stopped by for your child's birthday? Yes. There is a new Elf on the Shelf Birthday Tradition that many elves haven't heard about yet, and it might be coming your way. I first heard about this new elf birthday tradition months ago, but I couldn't find any information about it online, so I wasn't sure if it was real or not. Then, today, as I was looking on Amazon for something, I saw it: Elf on the Shelf A Birthday Tradition . What is Elf on the Shelf Birthday Book about? The Elf on the Shelf: A Birthday Tradition tells the little-known story of how Santa’s finest helpers celebrate birthdays at the North Pole—and how you can invite your scout elf to share that tradition with YOU! 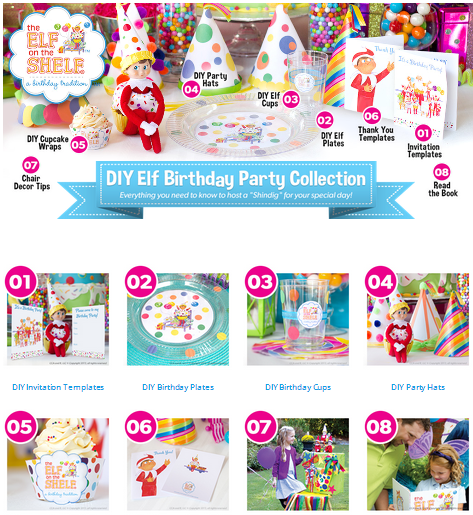 Each kit includes special instructions for families on how to invite their scout elf for a birthday visit, and a festive birthday outfit for your scout elf to slip into before your big day! 1) Sign up for a special birthday greeting and receive a special message from the North Pole on YOUR big day. 2) Invite your Elf to your birthday party by asking Santa if your scout elf can visit on your special day. 3) Make a birthday donation to Charity Water and help children around the world who need clean water. 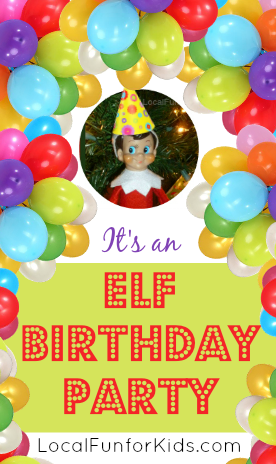 Want to throw an Elf on the Shelf Birthday Party? There are DIY invitation templates, birthday plates, cups, hats, cupcake wraps, thank you notes and more! It's a very unique birthday theme and it might be fun for a Christmas in July birthday too. You can access all of the printables on the Elf on the Shelf website. Was your family happy to see your elf return to the North Pole at Christmas? Or, would you like to see your elf stop by for an upcoming birthday? Two things that I love are coming together and I have a feeling it is going to be magical. 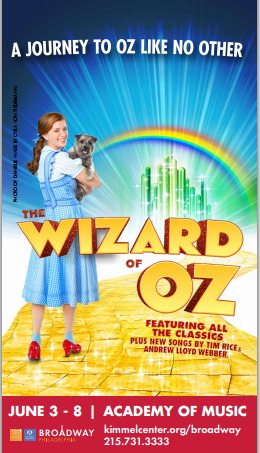 THE WIZARD OF OZ will follow the yellow brick road to Philadelphia for a limited engagement at the Academy of Music from June 3 – June 8, and I am so excited about this show! “We're off to see..." the most magical adventure of them all. Andrew Lloyd Webber's new production of The Wizard of Oz is an enchanting adaptation of the all-time classic, totally reconceived for the stage by the award-winning creative team that recently delighted London and Toronto audiences with the revival of The Sound of Music. Developed from the ever popular MGM screenplay, this new production contains all the beloved songs from the Oscar®-winning movie score, all the favorite characters and iconic moments, plus a few surprises along the way, including new songs by Tim Rice and Andrew Lloyd Webber. Click your heels together and join Scarecrow, Tin Man, Lion, Dorothy, and her little dog Toto, as they journey through the magical land of Oz to meet the Wizardand obtain their hearts' desires. Watch out for the Wicked Witch of the West and her winged monkeys as you rediscover the real story of Oz in this fantastic musical treat for all the family. Whether it's a rare date night with my husband or a mom & son night out in the city, Broadway Philadelphia is always phenomenal. Tuesday – Thursday evening at 7:30 p.m.
Friday & Saturday evening at 8 p.m.
Matinees Saturday at 2 p.m.
A weekday matinee on Thursday, June 5 at 2 p.m. If you want to see ths Wizard of Oz, you can get tickets ranging in price from $20 to $115.50 by calling 215-731-3333 or going online at kimmelcenter.org/broadway. They even have discounted groups rates for select performances by calling 215-790-5883 or 866-276-2947. If you go, come back here and let me know how it was!